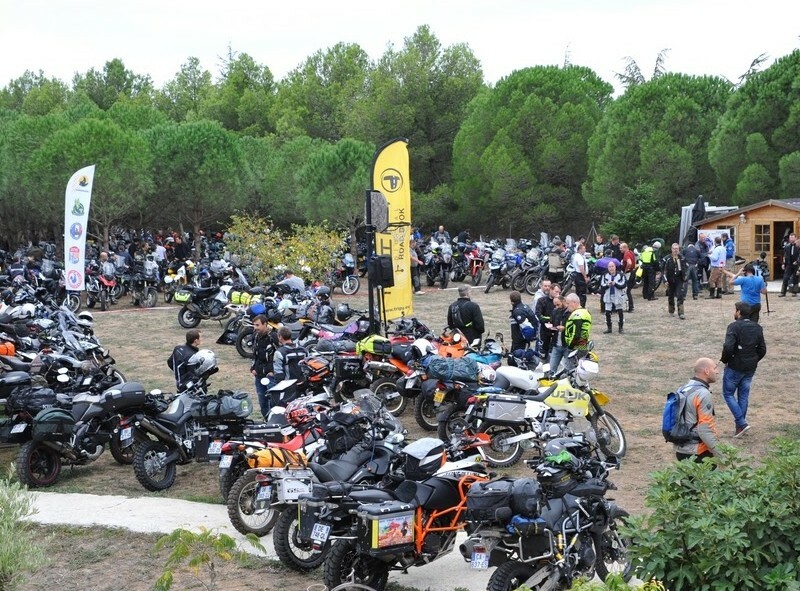 A 3-day event, a motorcycle ride combining small scenic roads and paths for about 700 km. No competition or timer, just a ride, sightseeing around Carcassonne and Cathar castles, and the opportunity to experience adventure for those who dream of going to the other side of the world without having the opportunity. The Cathare Moto Trail is open to all, whatever your offroad practice. If you have not yet dared to put your wheels elsewhere than on the bitumen, it is the occasion to make your hand, if you are accustomed to it, then it is a good training and an unforgettable experience! All trail or maxi-trail bikes, regardless of brand or cylinder capacity, are ideal for the Cathar Moto Trail. There is no need for specific preparation except for tires with teats or crampons. Soft or rigid luggage are adapted to our rides, the borrowed paths are wide enough. We also appreciate the "classics", antique, and other old grannies always ready for the adventure! We strive to offer you the perfect blend of adventure, accessibility, and a minimum of comfort. You will spend the night in the tent that you carry on your mount, in the bivouac space that we concoct you, with showers and toilets. Dinner (excluding drinks) and breakfast are provided and included in your registration. Only lunch is at your expense, in order to progress at your own pace and have lunch whenever you like. A list of good plans along the route will be communicated to you. Of course, alcoholic beverages should be consumed in moderation so as not to spoil these 3 days. You are of course not obliged to take part in the bivouac, and can choose to spend the night in the hotel (not include in the package). We will suggest some of them. - the "Adventure" course to discover the "off-road", which will also make you take paths but without technical difficulties. One week before departure, we will send you GPS track of the hike (in gpx, trb, and pdf). If you do not have GPS (not recommended), you have the option to rent or buy a GPS Tripy II. The route takes place on open road, by signing up at the Cathare-Moto-Trail you agree to abide by the Highway Code. The Cathare Moto Trail 2019 is COMPLETE ! You can register on waiting list HERE. The Cathare Moto Trail lasts 3 days. Only the 3 days package is proposed. - Validate and then ensure your place on the event by making full payment of your commitment with creditcard online, or UNDER 10 DAYS with bank transfer. The registrations for this hike are closed.